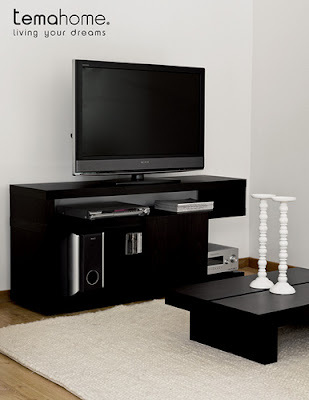 The strand TV unit delivers what most TV benches try but are no able to accomplish a complete integrate solution for all your AV equipment using a compact space. Featuring exotic geometric lines, this unit has a sliding door that allows you to show or hide your equipment creating a different ambiance to your entertainment area. See more at TemaHome.com, designed by Ricardo Marçal.